The weekly sessions started in the ’50s, at a deep-woods deer cabin owned by brothers Joe and George Albert, who would invite other musicians to play and sing with them until the wee hours. After George died, the not-for-profit Pinelands Cultural Society moved the Saturday events to their current space to keep the camaraderie and spirit of the Albert brothers’ jams alive. Over the years, they’ve added larger buildings, and even drew some big names like Pete Seeger, who turned up twice for fundraisers, in 1976 and 1980. Bookstores may be a dying breed, but this second-hand seller has been a Pennsylvania institution since 1946. 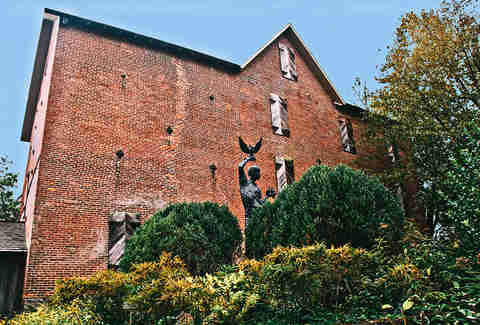 Located on a quiet country road not far from West Chester University and about an hour southwest of Philly, the building (which dates from 1822) houses thousands of rare and antique books in a truly unique setting. You’ll feel like Game of Thrones’ Samwell Tarly at the Citadel surrounded by the more than 300,000 books, manuscripts, maps, paintings, and prints. The owners don’t mind browsing, and with five levels packed into the barn, book lovers should set aside a full day for exploration -- and the chance to find some long out-of-print wonder that may never get to Kindle. Really, why should those French Impressionists get all the attention? 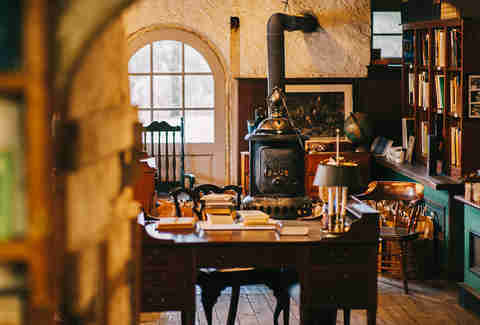 This museum turns its focus to the works of American painters and illustrators, including an extensive collection of pieces by the Wyeth family: late American master Andrew Wyeth; his father, illustrator NC Wyeth; his son Jamie Wyeth; and other relatives. The Wyeth family had a deep connection to Chadds Ford -- NC Wyeth bought 18 acres near the village in 1911, with the proceeds from his illustrations of Treasure Island -- and the people and landscapes of the area can be seen again and again in their canvases. Working in the area, Andrew Wyeth created some of the most iconic images of the 20th century, including, for decades, documenting the inhabitants of the Kuerner farm, which you can also tour as part of a visit to the Brandywine. 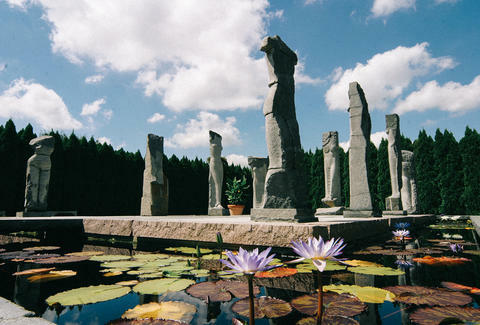 A trip to Bryn Athyn, just a mile outside the Philadelphia city limits, can seem like a trip back in time, and to another continent. 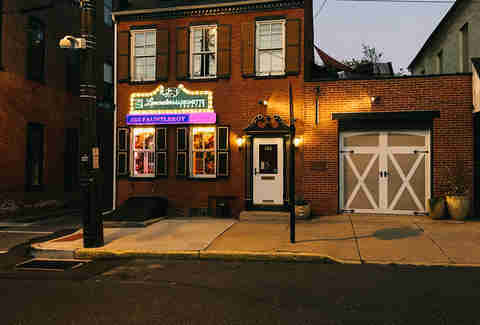 There are four buildings in the tiny borough’s historic district, each connected to the Pitcairn family, whose patriarch, Scottish-born industrialist John Pitcairn, amassed a fortune manufacturing plate glass. 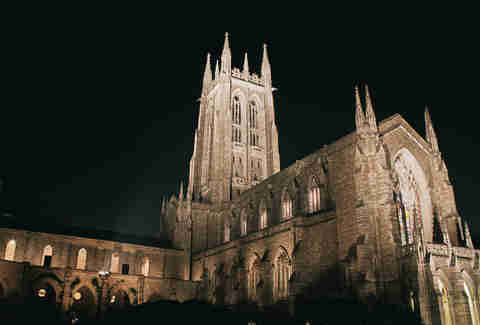 Each building is an architectural marvel: the Gothic-style Bryn Athyn Cathedral (the family adhered to the Church of the New Jerusalem), looks like it dates from the late middle ages in Europe rather than a Pennsylvania borough incorporated in 1916. The oldest of the buildings, John’s Beaux Arts mansion Cairnwood, was constructed in the 1890s, and Cairncrest was built as a home for aviator Harold Pitcairn, one of John’s sons. But the standout has to be Raymond Pitcairn’s home, which he dubbed Glencairn but locals have called “The Castle” for generations. It towers above the borough on a high hill and is now a museum of religious art and history, said to house one of the country’s best collections of medieval art and artifacts. 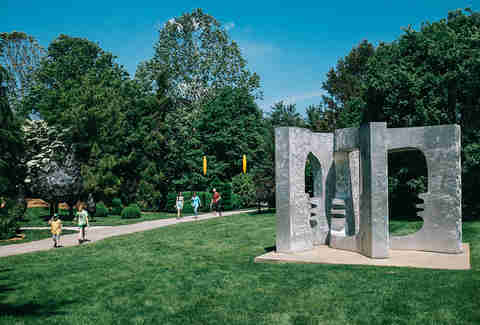 Just outside of Trenton and less than an hour outside of Philly, Grounds For Sculpture presents more than 270 works arranged over 42 acres, with pieces ranging from the miniscule to the monumental, from the avant-garde to the whimsical. It’s a great place to immerse yourself in art, and kids who would be in full meltdown 15 minutes into a museum visit will have a blast discovering Dana Stewart’s surreal bronze beasts and spotting the free-ranging peacocks. J. Seward Johnson opened the extraordinary sculpture park in 1992, and some of the most memorable pieces are Johnson’s own work in painted cast bronze, many depicting everyday life or scenes from famous paintings. Renoir’s “The Luncheon of the Boating Party” inspired his “Were You Invited?” displayed near a pond at the park, where visitors can join Renoir’s group for an artsy Instagram op. You may think puppets are just for kids, but the marionettes on stage at this 50-seat, Victorian-style theater are such a delightful throwback, they’re worth a look by visitors of all ages. Robert Brock founded the theater in 1990 and makes all the puppets and performs the shows; he even explains the operation of the marionettes afterward. While children’s stories dominate the lineup, with Rumpelstiltskin, Here Comes Peter Cottontail, and Little Lord Fauntleroy on the upcoming schedule, the “Hole in the Wall Puppet Theatre” also presents Brock in Divas and Dames: Broadway to Hollywood, including his impressions of Mae West, Carol Channing, and others, in a production aimed at grownups. 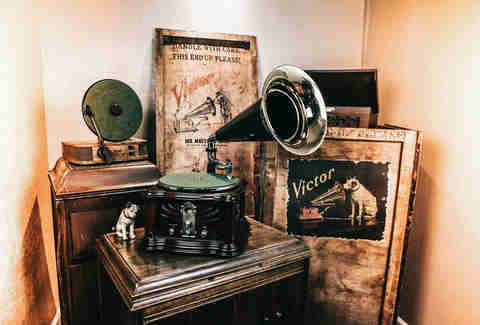 Part studio, part museum, part venue, and all about sound, The Vault opened in 2015 and is now the official archive of the Victor Talking Machine Company, one of the labels that was integral to launching the recorded music industry a century ago. As a venue, it offers a steady stream of live performances on weekends, including appearances by its founder, 28-year-old singer-songwriter Graham Alexander. Music geeks, take note, there are more than 10,000 original acetates, masters, and shellacs from the early day of recorded sound stored here. The collection runs deep – from opera tenor Enrico Caruso to the Brit rockers of Coldplay – and plans call for getting some of that music to new ears, potentially through a streaming service. They’re also releasing new music on the Victrola label, the first records to carry the name for decades. More than 80 years later, the final flight of the Hindenburg has become the stuff of pop culture references, from a Led Zeppelin album cover to Sterling Archer quoting, “Oh, the humanity!” But once, the German flying luxury liner was the height of modernity and speed -- until the 15-story airship went down in a spectacular blaze as its tons of volatile hydrogen burned off. The crash site is now part of the McGuire-Dix-Lakehurst joint base, where the Navy Lakehurst Historical Society offers weekend tours one or two Saturdays a month, depending on the time of year. See the memorial that marks the spot where the disaster happened, peep the Hindenburg relics and models on display at the Lakehurst Heritage Center, and visit an enormous hangar that once housed the Hindenburg and American airships that were almost as huge. Pro tip, though: Because of military security regulations, only US citizens are allowed on base, and you have to register two weeks in advance.